The Perfect Derma Peel is a medium depth chemical peel blending Glutathione, Kojic acid, TCA, retinoic acid, phenol, salicylic acid, and Vitamin C. This peel improves the tone and texture of skin; lightening and brightening, while reducing pore size and sun damage and targeting fine lines and wrinkles. It also reduces hyperpigmentation and melasma. The Perfect Derma Peel is designed to be used every 3 to 6 months, depending on your skin regimen. The results continue to improve with each peel. Peeling begins on day three and should be completely resolved around day seven with bright, healthy fresh skin revealed! Chemical peels are topically applied acids such as glycolic, salicylic, lactic, etc. that help to rejuvenate the skin surface by creating an even and controlled shedding of the skin cells. This allows new layers to be exposed, which creates a fresh appearance and smoother texture to the skin surface. In addition, new cells and collagen may be stimulated, creating a more even tone. A light-to-medium depth chemical peel can improve skin conditions such as sun damage and aging, blotchy pigmentation (age spots, freckles, dark patches), wrinkling around the eyes and mouth, acne-prone skin with mild scars and clogged, congested pores (whiteheads and blackheads). To achieve maximum results, 4 – 6 treatments spaced every two to four weeks apart are recommended for visibly healthier, radiant skin. Do you want to look younger and have healthier looking skin without having to undergo expensive laser or surgical procedures with weeks of downtime and recovery? Rejuvapen stimulates the skin’s natural healing process to increase elasticity, reduce the appearance of scars and wrinkles, minimize pores, and more. A versatile treatment that corrects a variety of skin concerns, Rejuvapen is an attractive option for men and women seeking comprehensive skin rejuvenation without invasive surgery. As a result, the skin shifts its natural repair mechanism into high gear and starts producing collagen and elastin to repair these micro-perforations. The self-repairing property of the skin is a 100% natural form of skin renewal from the inside out. 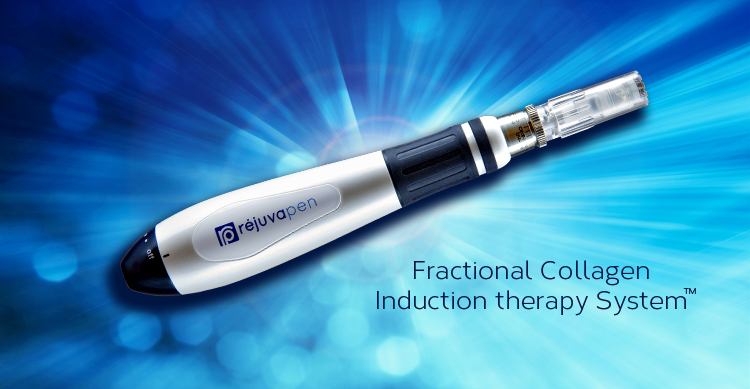 The advantage of the Rejuvapen™ compared to other treatments is that it not only activates cell regeneration, it also enhances the absorption of any topical skin care products applied to the skin before treatment. Fine lines, wrinkling, surgical scars, acne scarring, hyperpigmentation and skin texture and tone can all be treated with the Rejuvapen with lasting, visible results. While you may see noticeable results with one treatment, a series of 4-6 treatments is recommended for the most dramatic skin rejuvenating results.